Nissan’s Chief Executive Hiroto Saikawa welcomed Renault’s new leadership. He said Nissan plans an extraordinary general shareholders’ meeting, likely sometime mid-April, to dismiss former Chairman Carlos Ghosn and director Greg Kelly as board members. The company will also be taking steps in April and May to beef up governance at Nissan, he said. Saikawa has denounced Ghosn as behind various financial wrongdoing and using company assets and money for personal gain, and has said governance must be fixed. The board of French carmaker Renault has chosen new leadership to replace industry veteran Carlos Ghosn. It has named Jean-Dominique Senard as chairman and Renault executive Thierry Bollore as CEO. Ghosn, who previously held both posts, resigned after weeks of detention in Japan, where he is fighting charges including breach of trust. Senard has been at the helm of French tire company Michelin for almost seven years. Bollore, who joined Renault in 2012, was appointed deputy chief executive officer of the group last November as part of the transitional leadership after Ghosn’s arrest in Japan. Japan’s prosecutors are defending the continued detention of Nissan’s former Chairman Carlos Ghosn, more than two months after he was arrested. Shin Kukimoto, deputy chief prosecutor, told reporters Thursday the authorities want Ghosn in custody because of fears he might tamper with evidence. Kukimoto also said Japan lacks a system for electronic monitoring of suspects released on bail. Ghosn offered to wear such a monitoring device in his latest request to be released. The Tokyo District Court has twice rejected his formal requests to be allowed out of the Tokyo Detention Center on bail. Ghosn says he is innocent of any wrongdoing. He has been charged with falsifying financial statements and breach of trust. France’s finance minister says that Carlos Ghosn, who is fighting breach of trust and other charges in Japan, has resigned as head of Renault. Ghosn has been detained for more than two months in Japan. French Finance Minister Bruno Le Maire said at the World Economic Forum in Davos on Thursday that Ghosn formally handed in his resignation to Renault’s temporary leadership on Wednesday evening. Renault had kept Ghosn on as chairman even after its Japanese alliance partners Nissan Motor Co. and Mitsubishi Motors Corp. dismissed him from those posts. 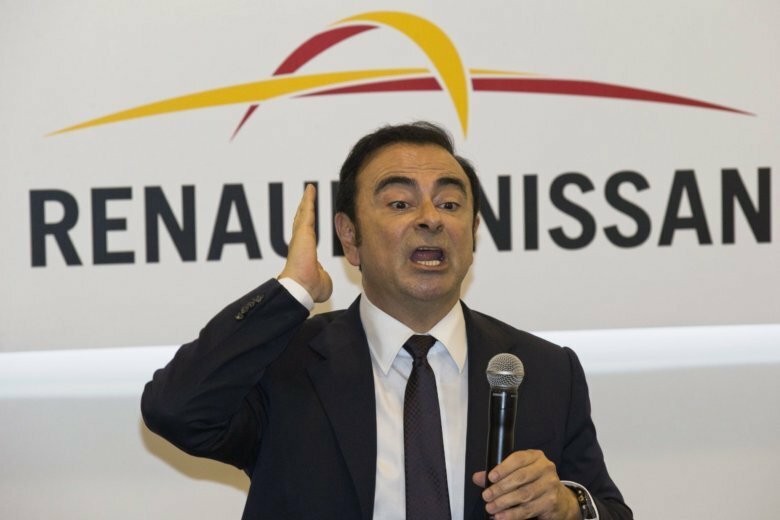 The board of French carmaker Renault SA plans to meet to choose new leadership to replace auto industry powerhouse Carlos Ghosn, who is fighting fraud and breach of trust charges in Japan. The board meeting Thursday is expected to name Jean-Dominique Senard of Michelin as chairman and Renault executive Thierry Bollore as CEO. Ghosn previously held both posts. Renault initially stood by Ghosn after his Nov. 19 arrest, naming temporary leadership. But the French government, a key Renault shareholder, has pressed him to be replaced. Ghosn denies Japanese accusations that he under-reported income as chairman of Nissan and other charges. French Finance Minister Bruno Le Maire said Wednesday in the Swiss resort of Davos that consolidating the Renault-Nissan alliance should be the “absolute priority” of the new Renault leadership.